Shadi Farah is just 12 years old, but he’s caught in a trap that few adults ever manage to work their way out of. 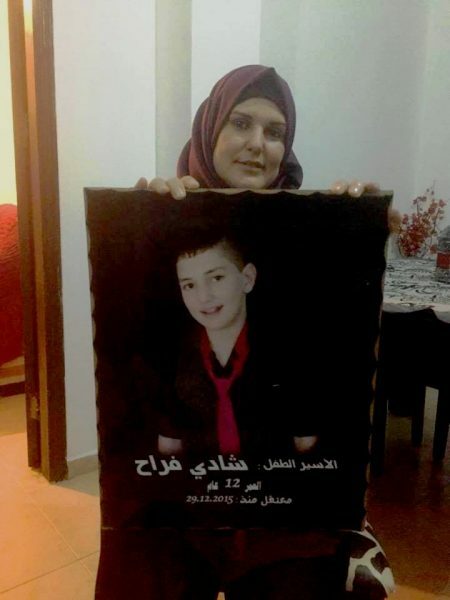 Last December, Shadi and his Friend Ahmad Zaatari, 13, were arrested at a bus stop in Jerusalem. A group of East Jerusalem illegal settlers called police to investigate the two boys, on suspicion of being Palestinian. In the ensuing process of arrest, interrogation, and abuse, the Israeli police proclaimed that the two boys had gone to Jerusalem with the intent to stab a soldier, and subsequently charged them both with attempted manslaughter. 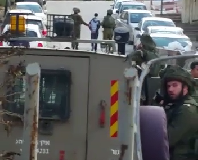 The evidence is slim, the boys confessed after several days of abusive questioning with no lawyer or parent present, and a lone witness was produced to claim the boys had been talking about stabbing soldiers at their school. According to Shadi’s family, he still maintains his innocence. But in the he-said-she-said world of Israeli courts, any evidence is enough to convict a Palestinian, and the boys are stuck. Unlike most Palestinian Political Prisoners, Shadi and Ahmad’s case differs in a few ways. 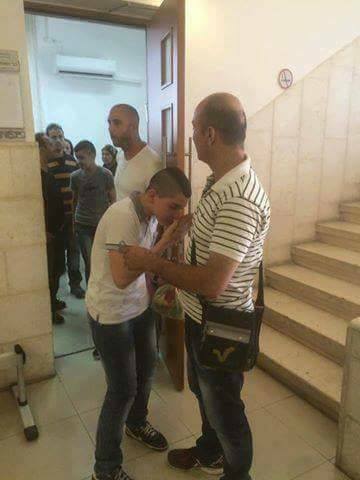 The boys have East Jerusalem IDs, meaning they are being tried in civilian courts, not military courts. While civilian courts are rarely kinder to accused Palestinians, there is more oversight than in the military system. That’s the good news. 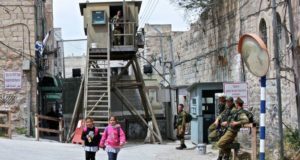 The bad news is that, as East Jerusalem residents under the age of 14, they are not imprisoned; they are in al Marsa youth detention centre in Northern Israel. While a youth detention centre may sound preferable, it isn’t. “It would be better if he was in prison.” Said Shadi’s mother, Farehan Farah. Al Marsa centre is a place for Israeli teenage criminals. The other detainees are older than Shadi and Ahmad, and are doing time for crimes such as theft, assault, and drug possession. Shadi’s family reports that the older detainees have threatened the boys on numerous occasions. The centre provides activities for all detainees; however Shadi and Ahmad have been banned from activities and are confined to their rooms, spending most of the day under what amounts to solitary confinement. The centre has not commented on whether this is a precaution to keep the boys safe from the older detainees, or if it is additional punishment. The living conditions in a prison might not be much better, but at least there the boys would be in the company of other Palestinians who are caught in the vicious political system, who could provide some amount of care and support. In addition to being isolated within the centre, Shadi is also frequently isolated from his family. Al Marsa allows for weekly visits, however the cost and logistics pose a problem. Shadi’s parents don’t make very much money, and the cost of renting a car and paying for gas exceed 800 NIS ($213) per trip. While Shadi has a Jerusalem ID, his mother does not, which means she has to go through the laborious permit application process every time she wants to visit. If Shadi was in a prison, his family would be eligible to participate in the prisoner visitation program sponsored by the International Committee of the Red Cross. This would mean that all costs and permit application would be processed for them. Since he is not, the family receives no assistance for visitations. Farehan has only seen her young son a handful of times since he was arrested seven months ago. Shadi’s family has hope that because of the flimsy evidence, and Shadi’s young age, he may yet be released from detention. Even if the family can’t have the charges dropped, they are trying to have him brought home and placed under house arrest for the duration of his trial, which could last for years. However it would take more than the effort of a court appointed lawyer. 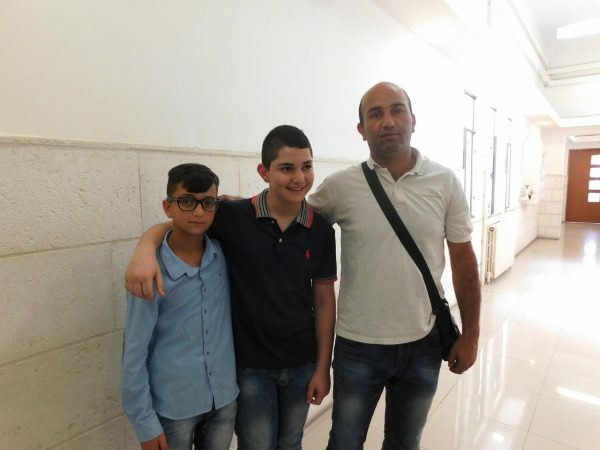 Supporters can contribute to the legal fees fund for the Farah family, or by writing to your congressional/parliamentary representatives, to insist they build pressure on Israel for their arbitrary detention of Palestinian children, especially 12-year-old Shadi Farah. Shadi with his best friend, Muhammad, and with his father, Anwar Farrah. Shadi with his father, Anwar.